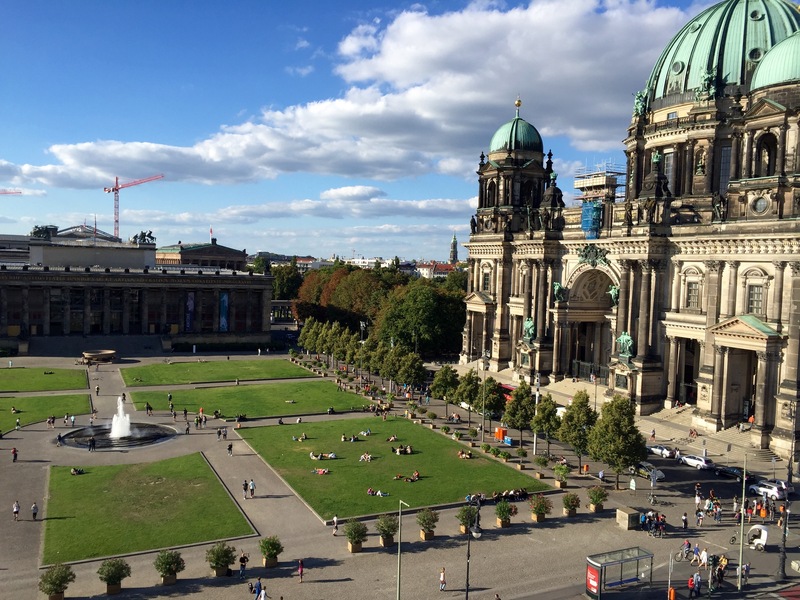 We were very excited and eager to visit Berlin as we boarded the DB train in Amsterdam. I was interested in seeing many of the important sights and digging further into World War II history, a subject that I grazed through in school, but find incredibly interesting and important in the future of our world. Soon enough the train was speeding out of Amsterdam on course. However, the ride came to an abrupt halt before we even made it out of the Netherlands. Eventually we got the translation of what our train conductor was saying and it sadly turned out that someone had committed suicide on the tracks somewhere in The Netherlands bringing all trains to a standstill. Late that evening we finally made it to Berlin after a delay of about 6 hours (a 6 hour train ride turned in to a 12 hour train ride). 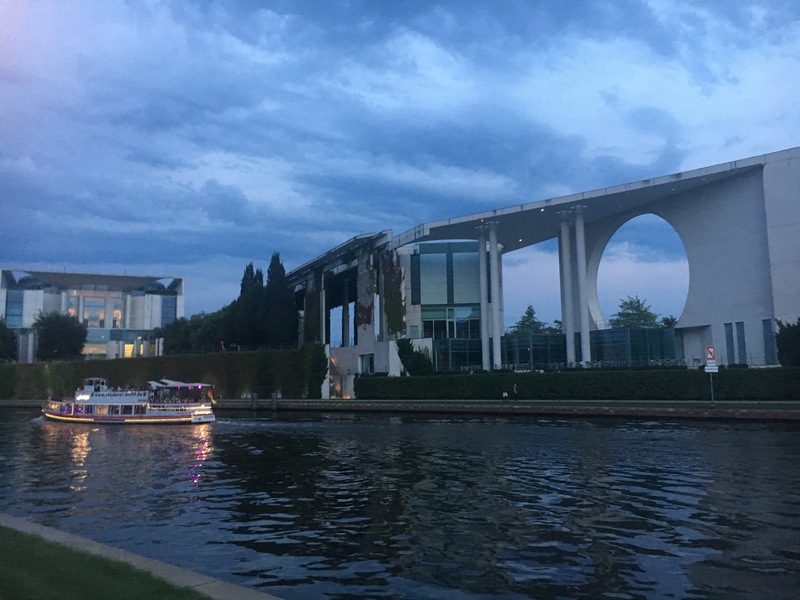 Luckily, we had no set plans for our first night in Berlin, but we certainly felt bad for our lovely Airbnb host Heidrun as we arrived after 9pm. As we were coming in later than expected, she wasn’t at home, so she recommended we stop at Marjan Grill near the train station and her apartment. We were quite pleased with the meal seated outside and immediately noticed the culture of the beer garden surrounding us. It’s definitely not like a “beer garden” in the USA with young belligerent adults, obnoxiously encouraging each other to indulge more and more (OK, they are not really that bad I know, but you get the point). Rather the beer garden here was filled with families and friends gathering outside laughing and conversing in a pleasant atmosphere. The scene here really cooled us off after the 12 hour journey and when our host Heidrun stopped by to sort of pick us up, we began to feel right at home. 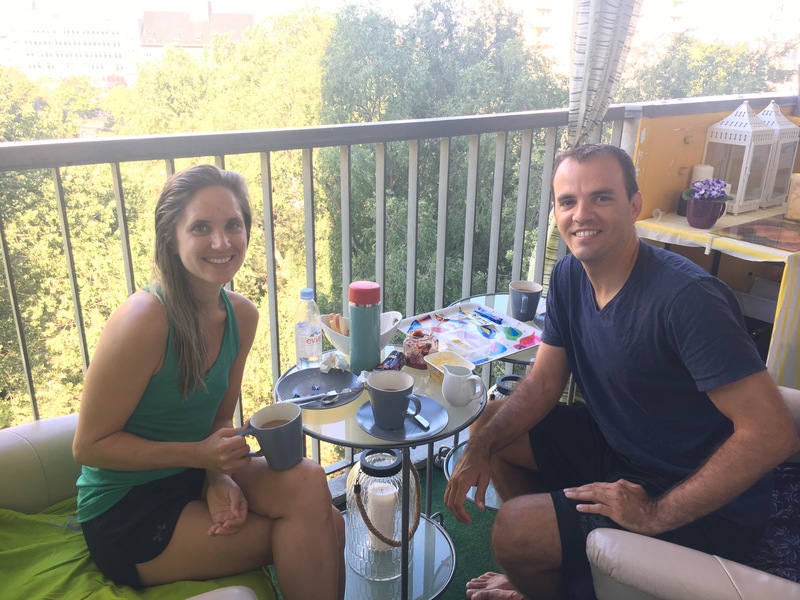 The next morning we woke up refreshed and ready to explore Berlin. As promised Heidrun met us in her kitchen with coffee and toast, and invited us on to the terrace to give us an intro to her city. It was an unexpected, but definitely welcome gesture that set the tone for the next few days here. 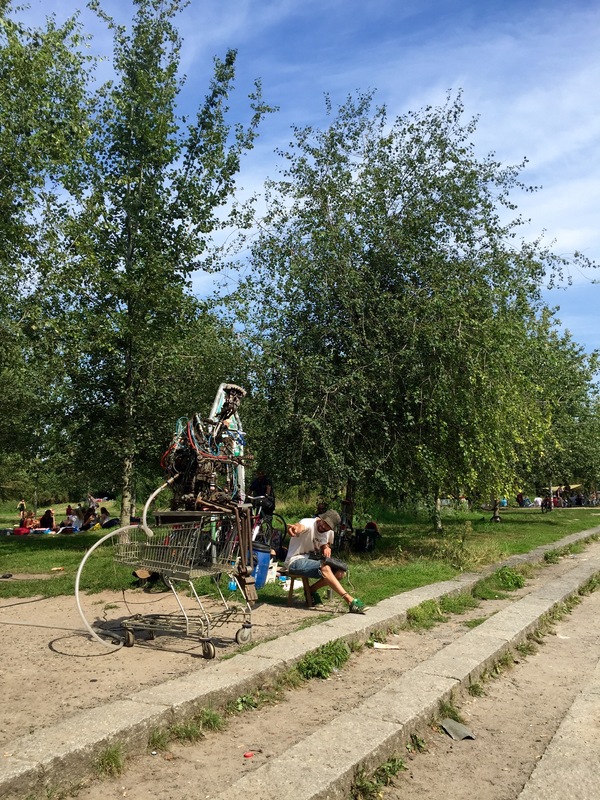 Once we got a rundown, we set off toward Mauerpark. 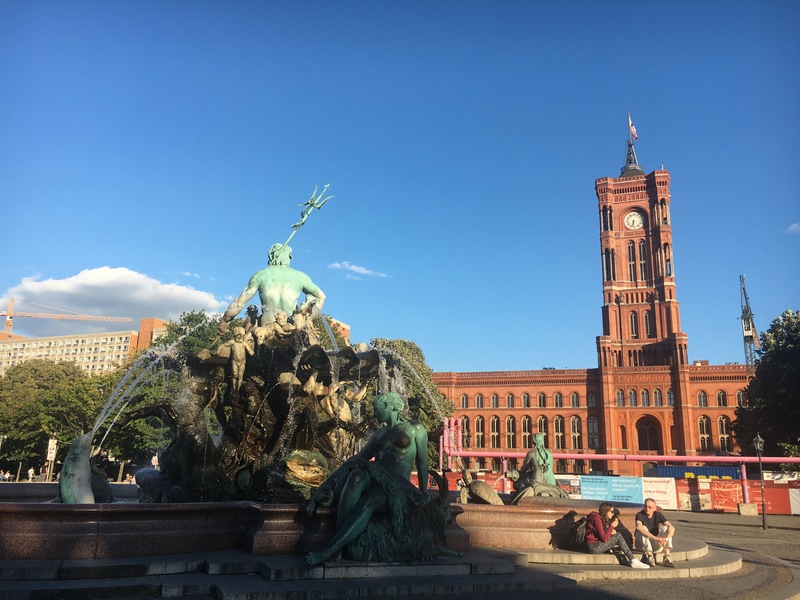 The transportation around the city is best done by train S-bahn and U-bahn, but pay attention to the times the trains are running as well as areas under construction. (We missed the memo about construction and missed our bus out of town costing us about 60 euro). At the recommendation of our host, we caught the train to this large market filled with people of all ages and types (but mostly hippies and hipsters). 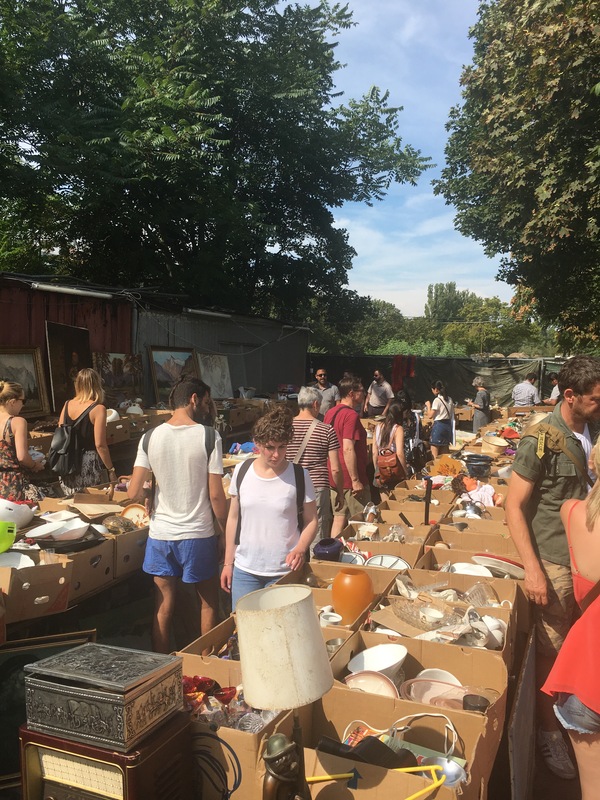 The area was lined with tents and tables selling everything you can imagine. As usual, we were excited to browse the markets and certainly could have spend hours upon hours people watching here. 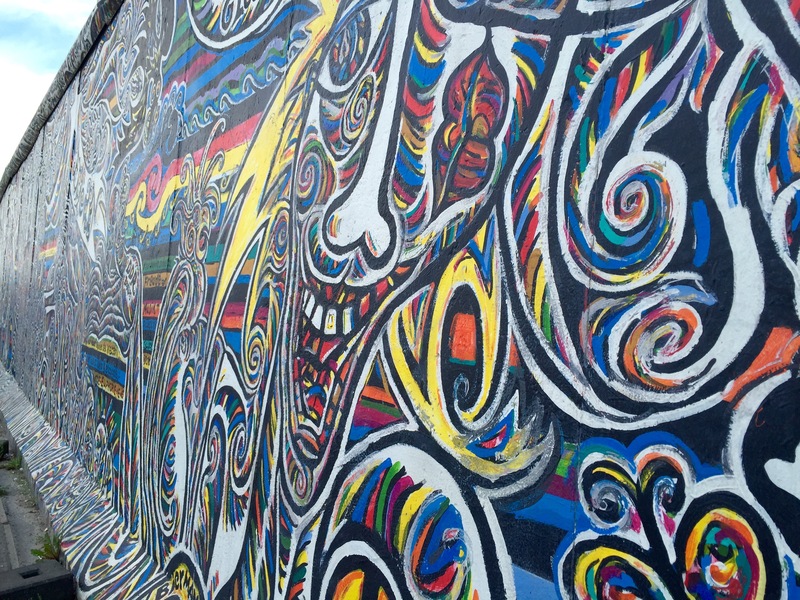 After having a famed bratwurst and wandering through the market a while, we headed to the East Side Gallery. 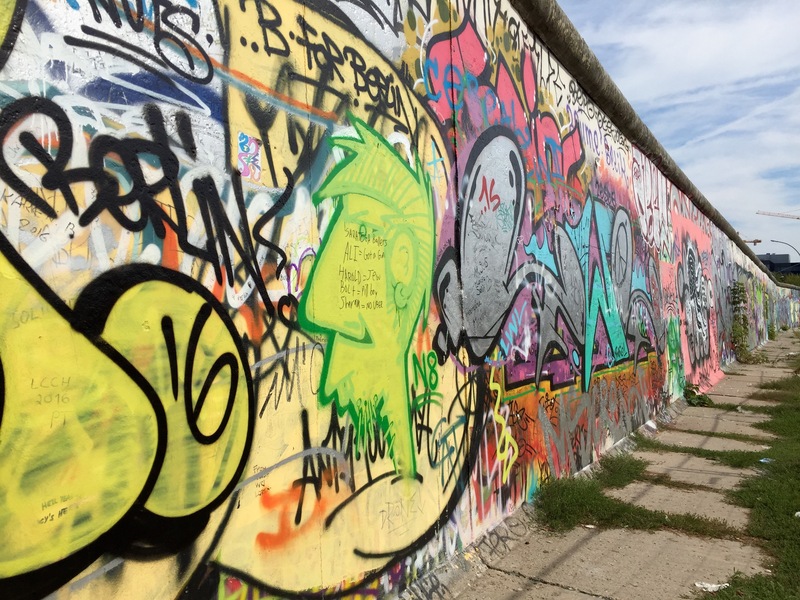 Graffiti covers the remains of the Berlin Wall in this portion of the city. Statements and images portrayed here give insight into the communist rule and the desire for peace in the world. It’s definitely worth checking out. 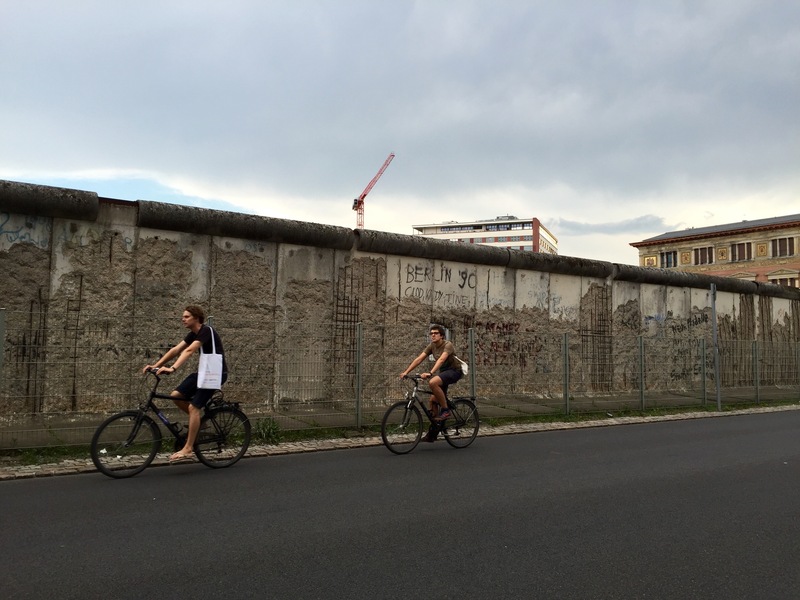 We left the East Side Gallery just in time for a bike tour. 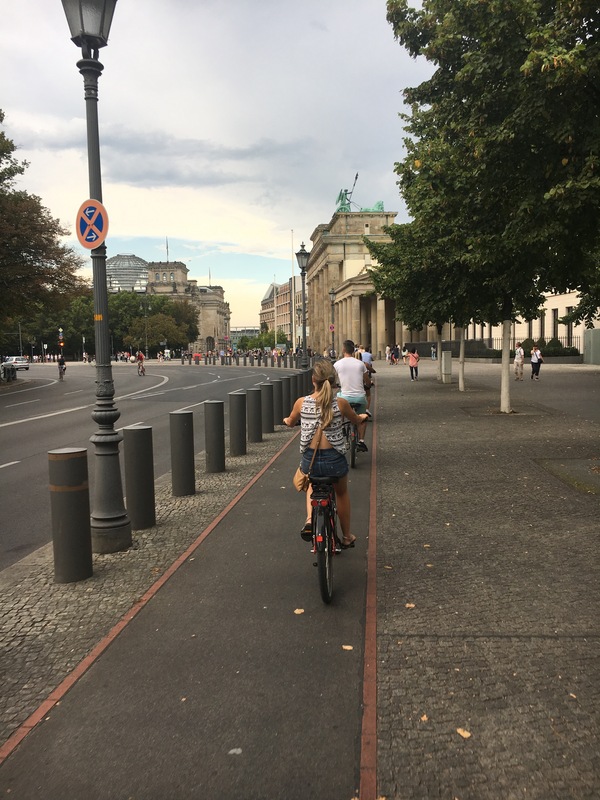 Berlin is quite spread out (it’s more than 6 times the size of Paris), so a bike tour let us see a lot more of the city than our usual walking tour. 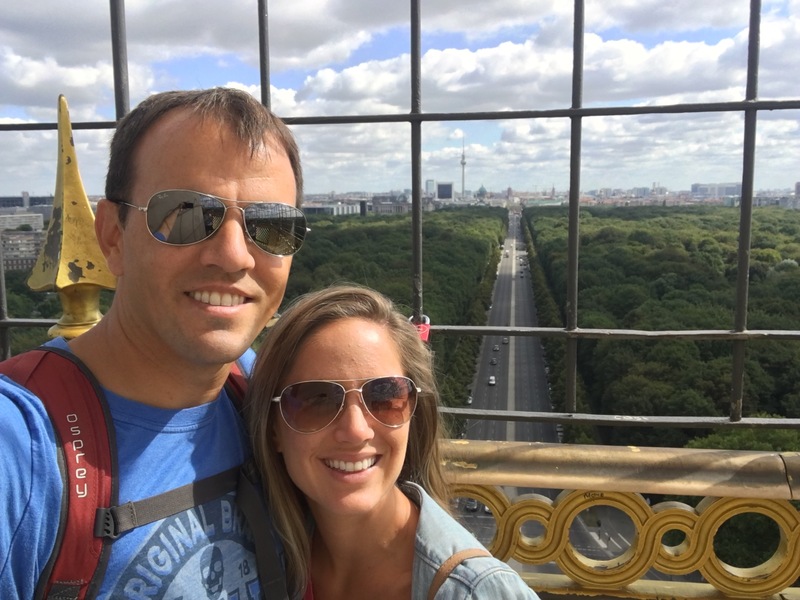 We took off from the Fat Tire bike shop near the Berliner Fernsehturm, a TV tower, on the eastern side of the city. The first stop on the tour was Babelplatz, where the first Nazi book burning took place. 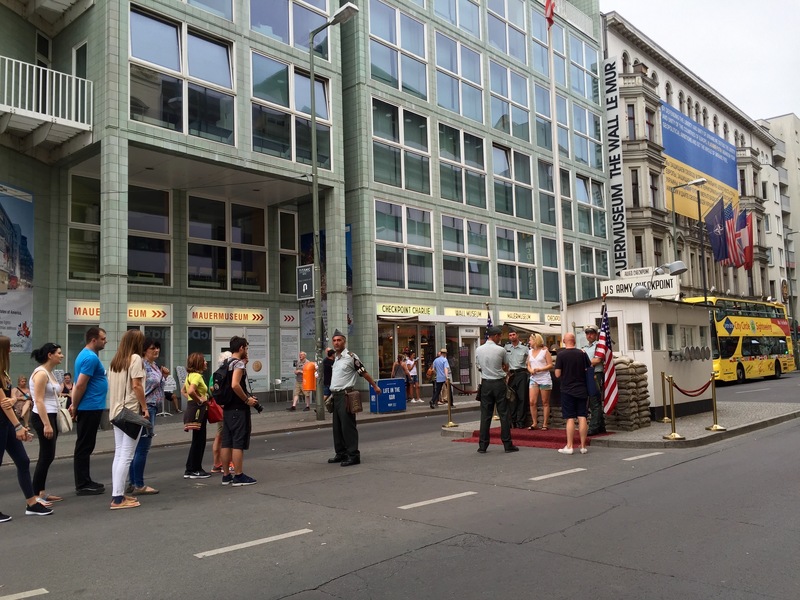 Next, we rode over to Checkpoint Charlie where our guide explained the checkpoints to and from West Berlin developed by the Soviet Controlled Eastern Germany. It’s hard to believe this was not that long ago. (Not long ago means I was alive when some of this was happening, just saying). 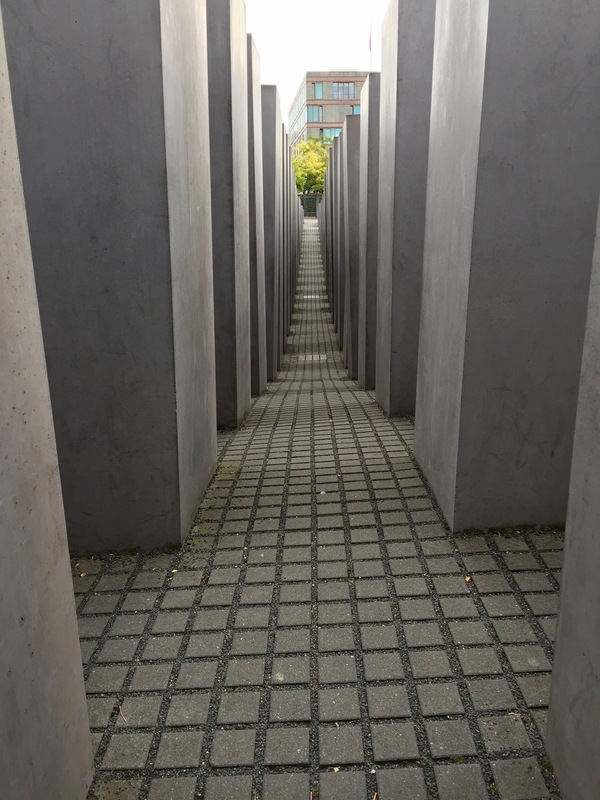 We passed by many landmarks including the Berlin Wall Memorial and Topographie des Terrors Museums followed by the Holocaust Memorial on our way to the Brandenburg Gate. The Brandenburg Gate was originally built as a city gate in 18th century, but it later sat in the death zone of a divided Berlin. 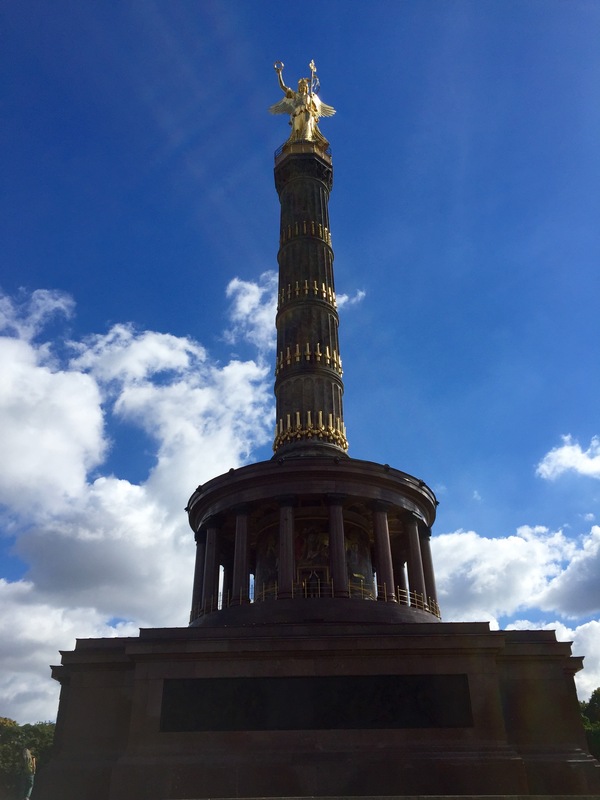 It has now become a symbol of unity and peace following the collapse of the Berlin Wall and the reunification of East and West Germany. 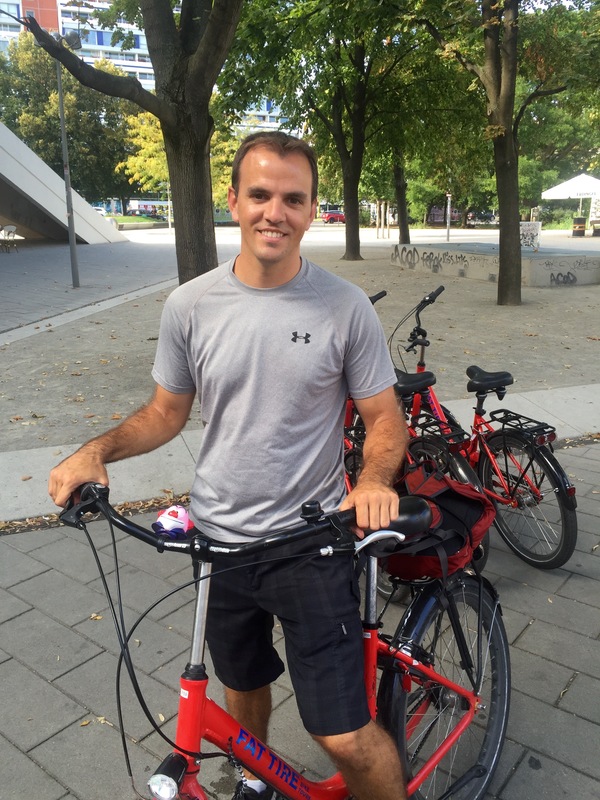 Back on our bikes we cruised into and through the Tiergarten. 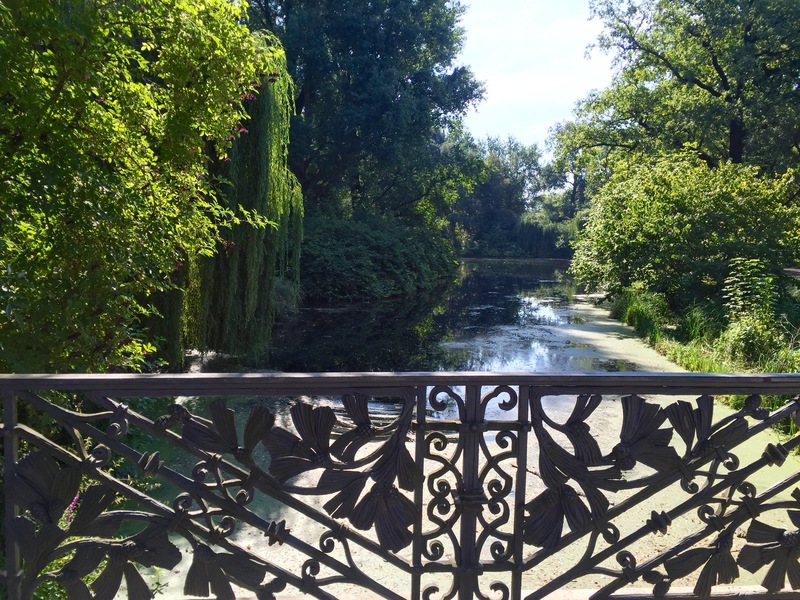 This large park reminded us a lot of New York’s Central Park. It was a nice break from the roads and buildings. 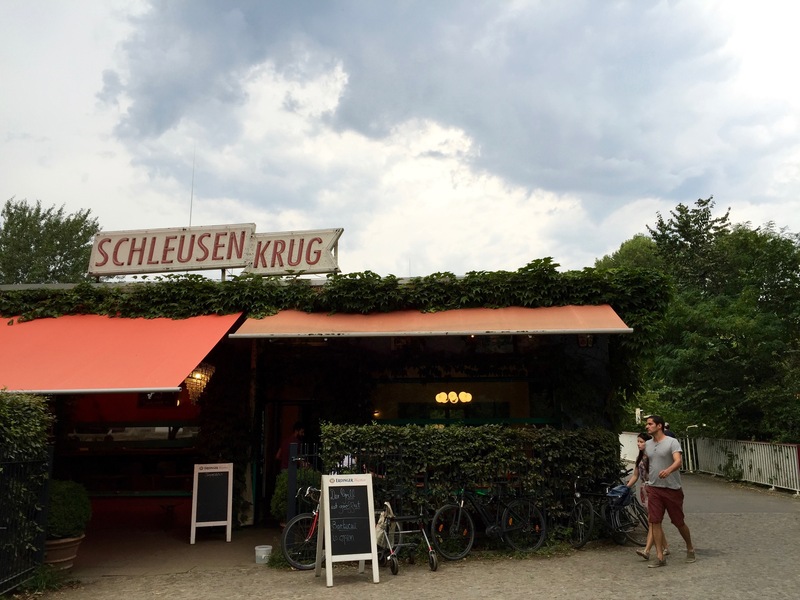 Our guide led us along until we eventually pulled up to Schleusen Krug Beer Garden. 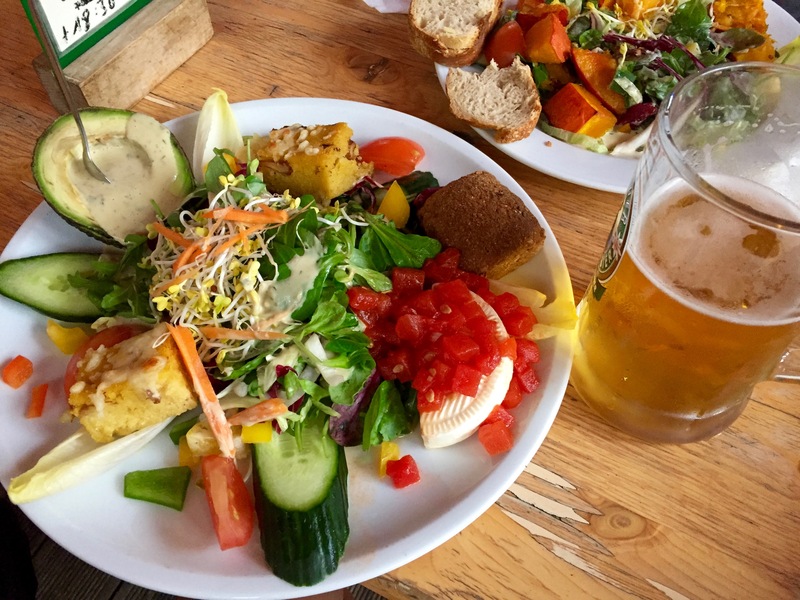 This was one of the only restaurants within the park and we were excited to relax in another of Germany’s beer gardens on that early evening. The prices were fair and the food was excellent. We’d definitely stop there again. 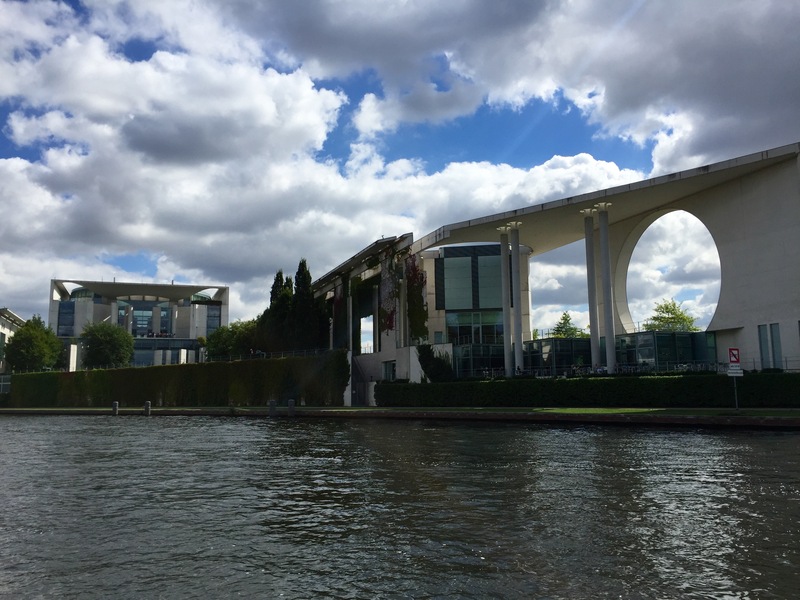 Next, we circled back with our guide leading us along one of the waterways past the Bundeskanzleramt, the German Chancellery also called the washing machine due to its appearance, until we pulled up in front of the Reichstag Building. Without making this sound like a book report, I do want to mention an important tidbit about the Reichstag building. 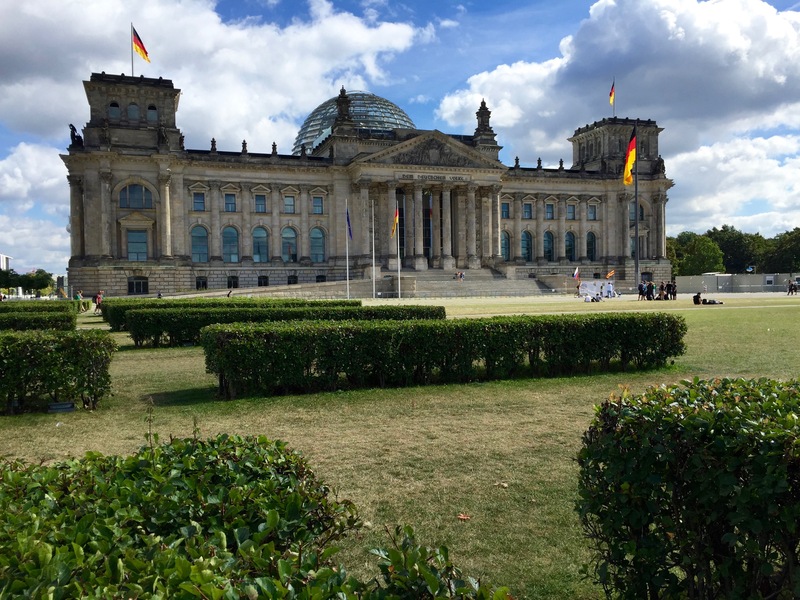 A suspicious fire in this building on February 27th 1933 allowed Adolf Hitler to convince President Hindenburg to sign into law the Reichstag Fire Decree that suspended most civil liberties in Germany and set the stage for a dictatorship that horrified the world. 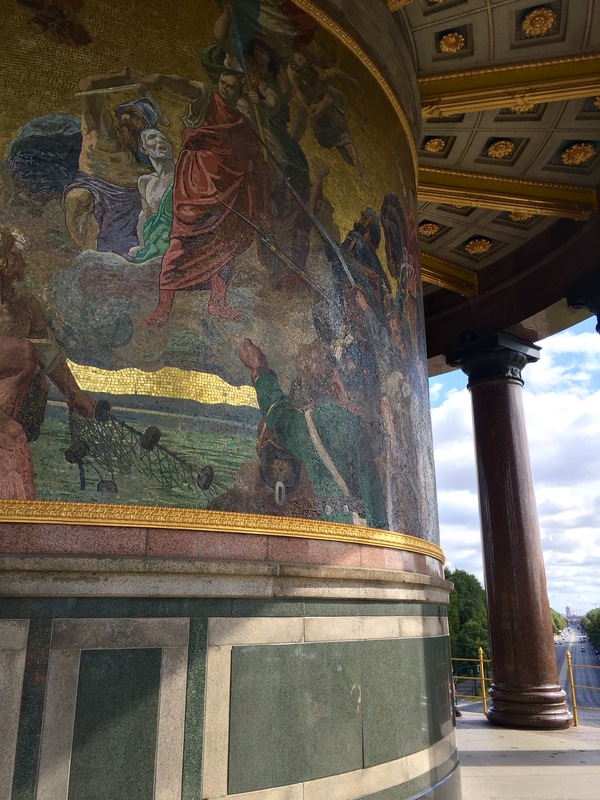 From there, we continued on to Museum Island noticing many buildings along the way with chipped and cracked walls and foundations that serve as a reminder of the war. 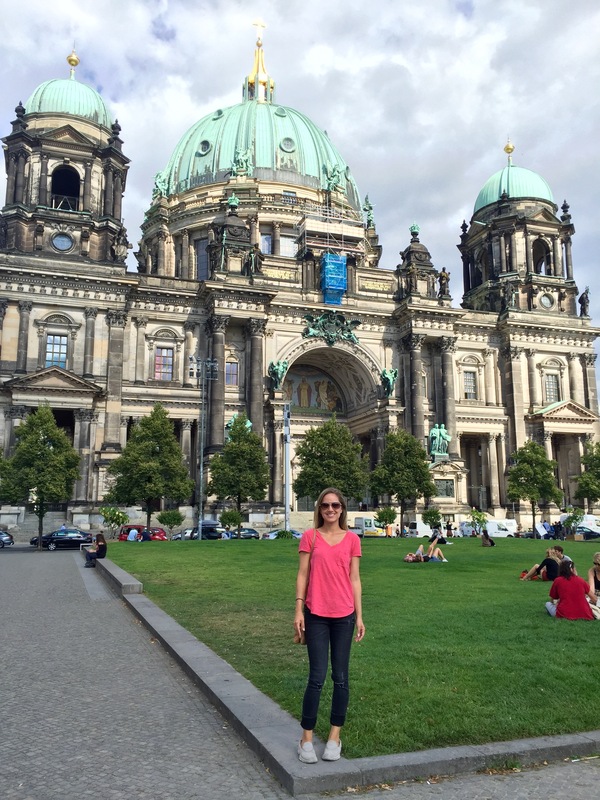 Soon we entered the park surrounded by museums and looked up at the Berliner Dom. After hearing the rough history of this city, it was nice to ride through the crowded park and see everyone enjoying their freedoms on a late Sunday evening. The next morning Whitney had an appointment with the US Embassy in Berlin. Ok, so back up, there is a side story here. During our road trip through south Germany, Whitney somehow misplaced her wallet. We called a couple places we thought it would be, but had no luck finding it. We were hesitant to cancel anything due to the need to have replacement credit cards sent and just watched our accounts closely. Somehow, we had a feeling it would show up. Then one afternoon in while in Bruges, Whitney got an email from the US Embassy asking what address to send it to. Apparently someone turned it in to police in southern Germany and it ended up at the Embassy in Berlin. A few messages later and Whitney was scheduled to pick it up in Berlin when we arrived. I’ll call it a lucky break…someone was looking out for us as all credit cards and cash were safely left inside. 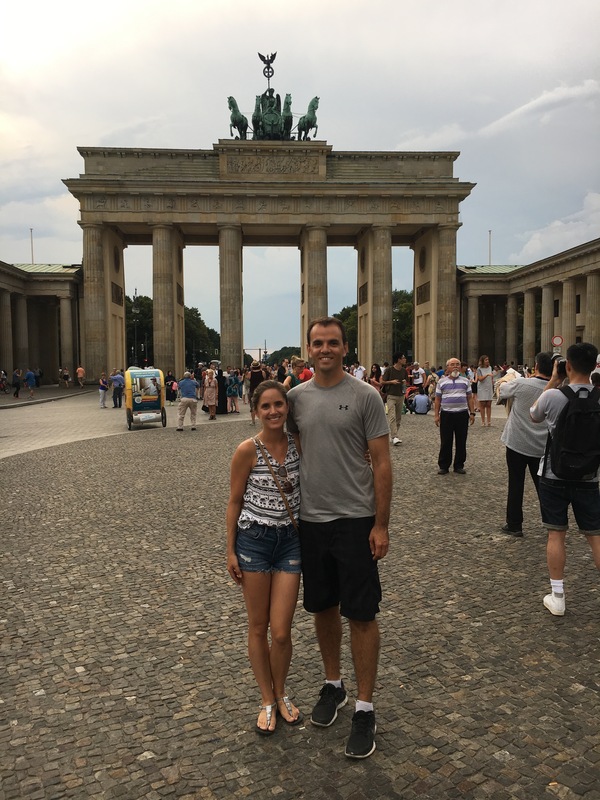 After getting Whitney’s wallet, we headed back into downtown to the Topographies des Terrors and the Berlin Wall Museums. Both museums are free and located side by side. 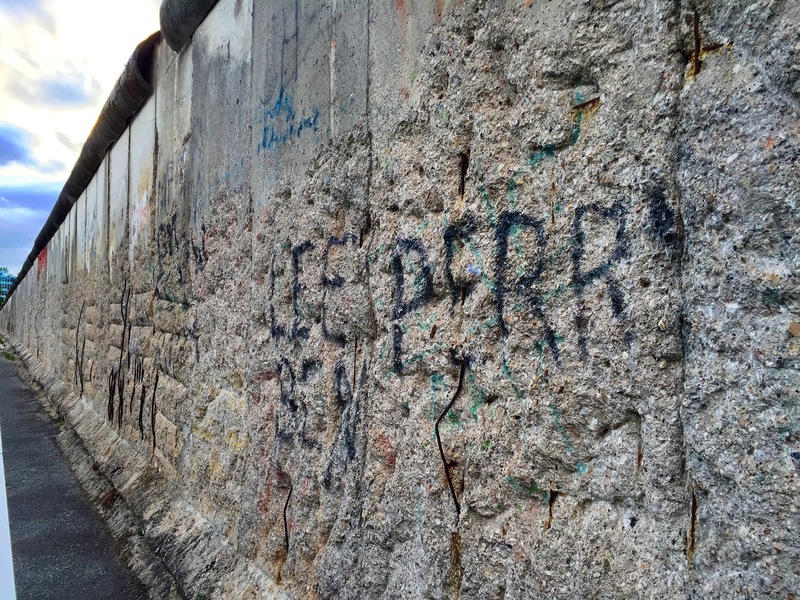 With a series of images and descriptions, we were lead through the terrors leading up to World War II and all the way through the fall of the Berlin Wall in 1989. We spent our entire day here reading and further understanding it all. It was a very heavy day for us, but it really opened our eyes to the history of our world and how thankful we should be. For our final day we had a few more things we wanted to see and do. 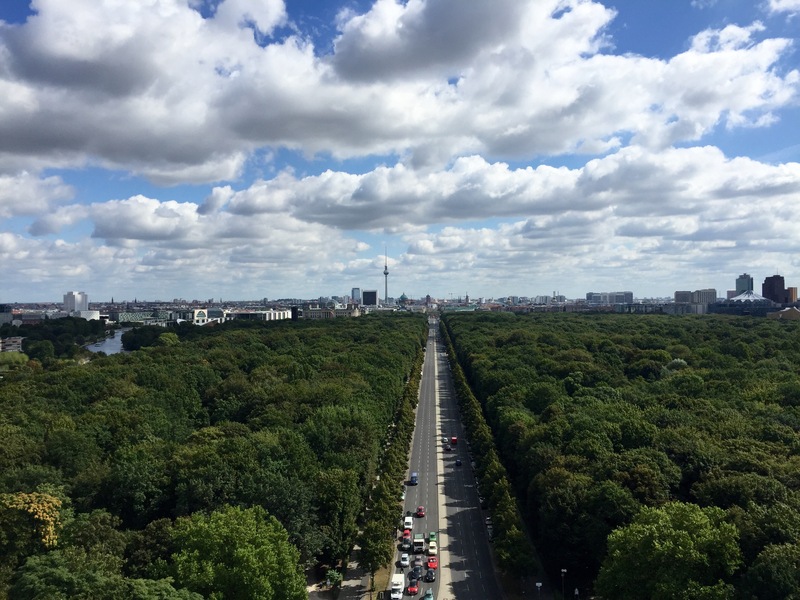 Our first stop in the morning was to climb the Victory Tower in the Tiergarten. We climbed the stairs to the top and marveled at the 360 degree views for a few Euros. 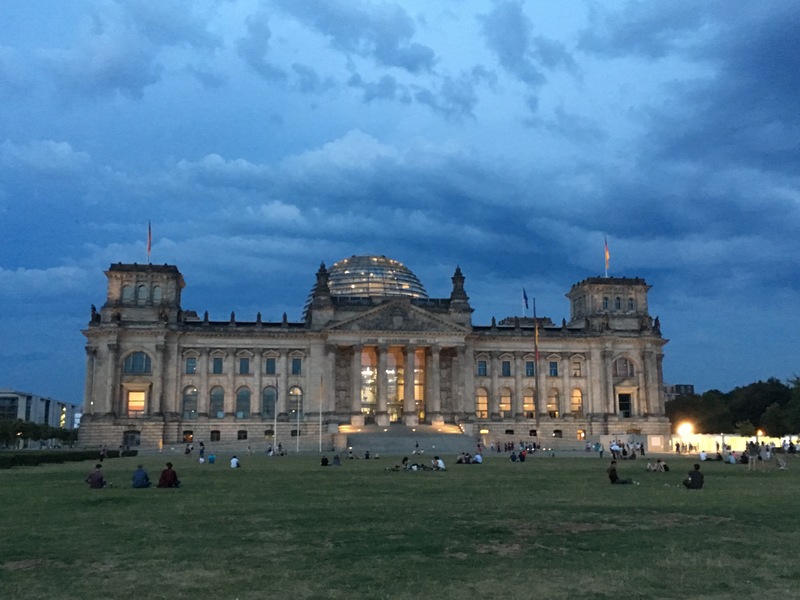 Next, we made our way back to the Reichstag Building hoping to get an opportunity to climb to the glass dome, but there were absolutely no tickets available…you must book this one ahead of time. 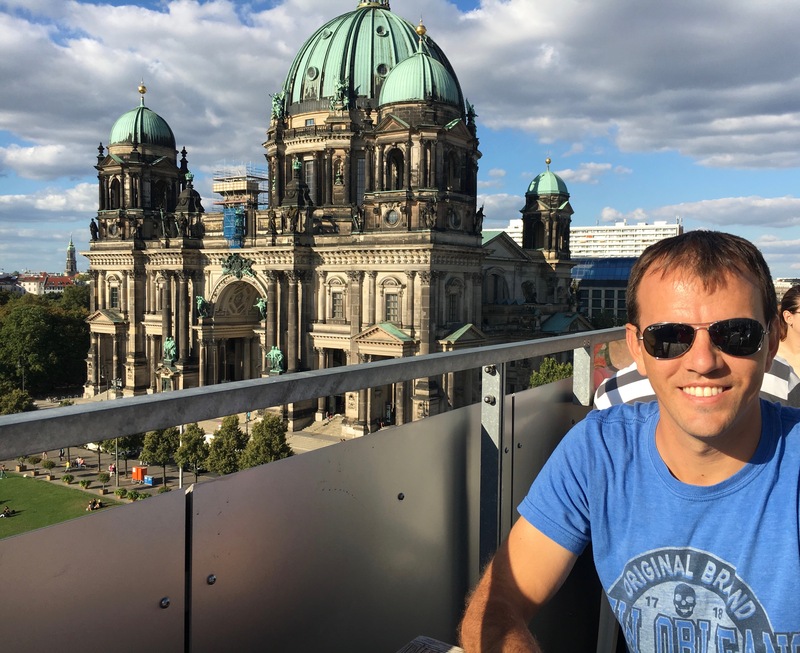 A little bummed about not being able to climb to the top of the Reichstag building we decided to head to a waterside bar/lounge for a mid-day break. During our bike tour we passed this nice little place with beach chairs spread on the waters edge overlooking one of the canals . We grabbed a couple empty chairs, took off our shoes and soaked up to rays of sun while enjoying a couple smoothies. It was right up Whitney’s alley as she would say. Continuing on we thought we would check out the Berliner Dom, but once we got to the steps of the church we realized it was 5 euro just to go inside. Having seen enough churches and cathedrals for free we decided to forgo this one. 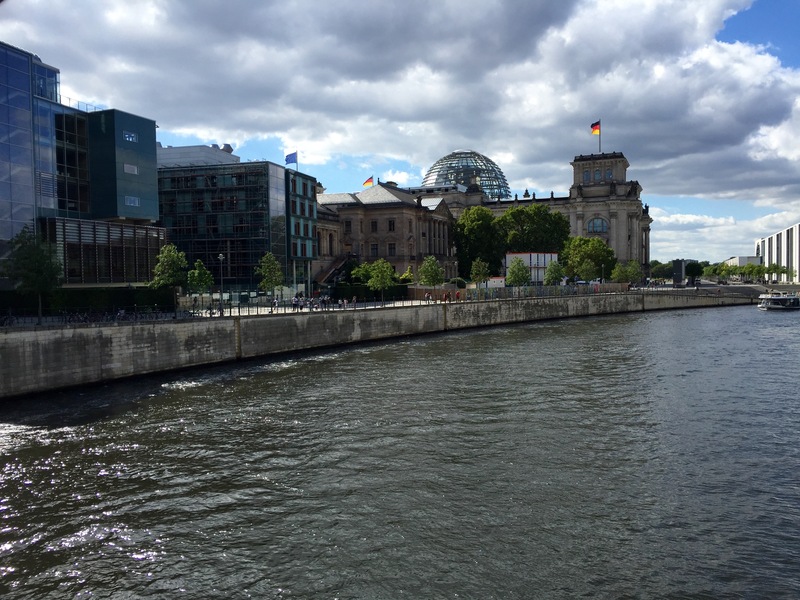 Instead we walked toward a free museum that described the current rebuilding of Stadtschloss, a Palace destroyed by the German Democratic Republic, the GDR which was the communist government of East Germany and East Berlin following the war. Soon after we figured out what the museum was, we noticed that there was a roof top terrace restaurant on one of the signs. Looking at each other, we both thought that would be a perfect place to treat ourselves. We made our way to the rooftop and settled in for a couple drinks to relax and take in the incredible views. There was only a handful of people at the restaurant making it feel like a secret location…(right up Whitney’s alley again). We finished up our night here and headed home to relax for the rest of the evening and get ready for our next destination in Krakow, Poland. So, why do I think we could live here? 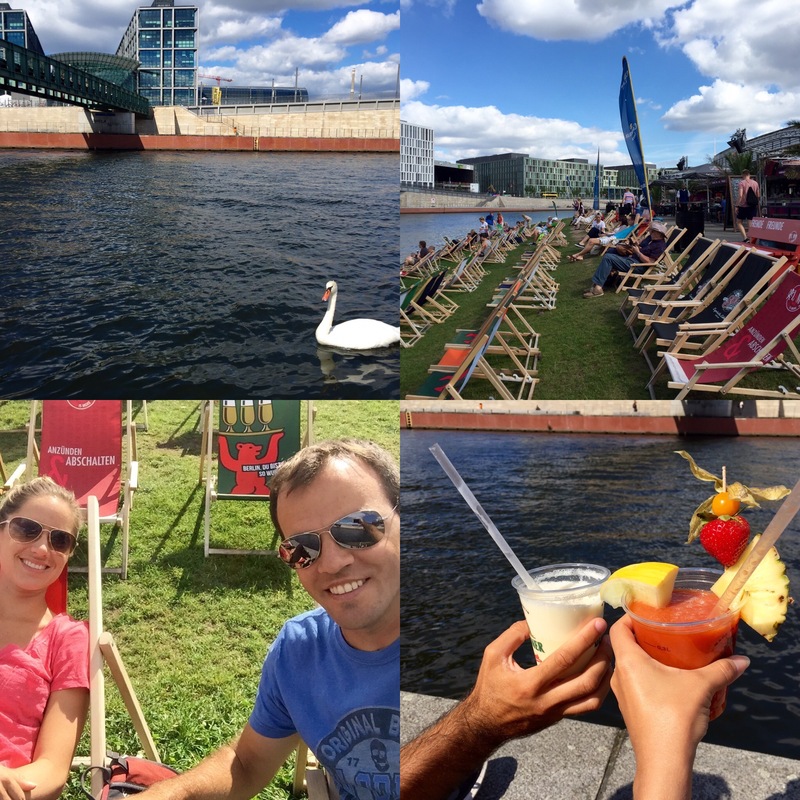 Obviously, we learned an incredible amount in Berlin and further opened our eyes to the world around us. 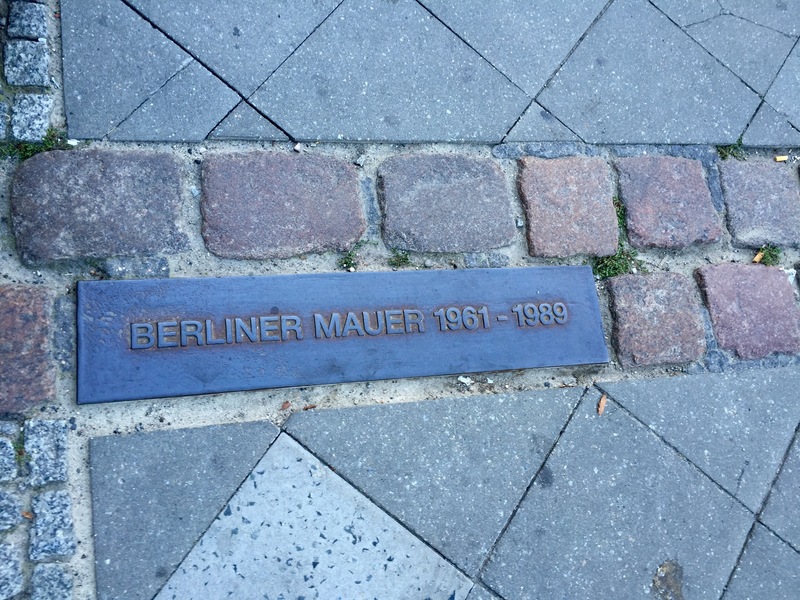 The people in Berlin today make this city what it is, as they move forward from the terrible past openly sharing their history hoping others can learn from the mistakes. It’s the open minds that have grown out of the recent history that invites us in. We were welcomed from the start and felt it continued throughout our time here. The people we met in this city, kind and helpful, really made it feel like home. Finally feeling like we were at home in a foreign city almost 2 months into our trip around the world almost speaks for itself. We will return someday and likely stay longer next time. For now, it’s off to Poland.